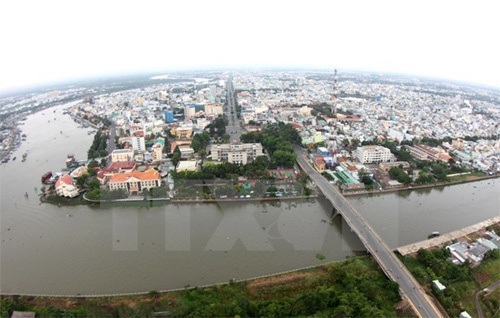 The Mekong Delta City of Can Tho licensed five foreign investment projects in the first 10 months of this year with total registered capital exceeding 17 million USD, said Deputy Director of the city Department of Planning and Investment Le Manh Tung. The projects operate in processing rice bran for export, machinery maintenance, trading, processing industry and cinemas. In the period, the city allowed four operating FDI projects to raise their capital by a combined 38.4 million USD, of which 31 million USD was poured into the Lotte Mart project. In total, the city attracted 55.7 million USD of FDI in the first ten months this year, meeting 75 percent of the year’s target. The city is considering a 15-million USD project of Singapore to build the Pegasus International University. City officials said many investors are exploring investment in the locality, focusing on the fields of hotels and resorts, energy, cosmetic production, garment making, garbage treatment and hospital. In order to realise its target to become an industrial city by 2020, the locality will devise a number of measures to seek partners from Japan and the Republic of Korea in farm and aquatic product processing, hi-tech agricultural production, agricultural machine, electronics and energy. So far, the city is home to 66 FDI projects, worth 954.6 million USD./.